NEW YORK (AP) — After the first week of the television season, Tim Allen has bragging rights over Candice Bergen. 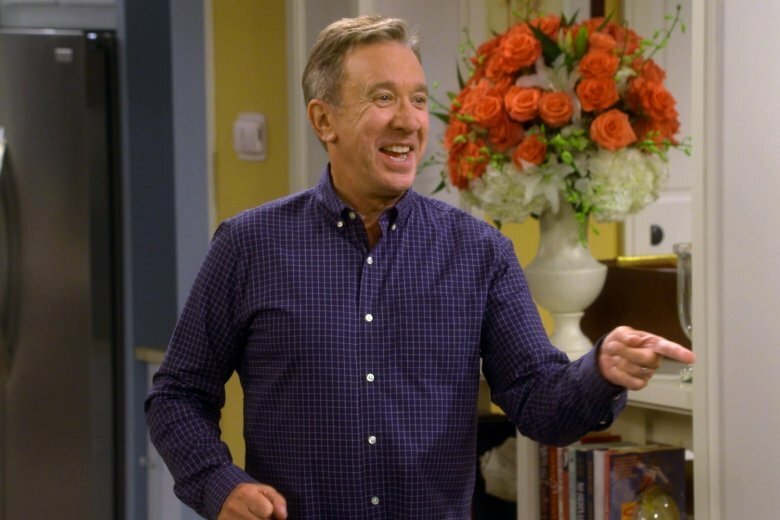 The return of Allen’s sitcom, “Last Man Standing,” reached 8.1 million viewers on Fox last Friday night. That was more than the 7.5 million people who tuned into the revival of Bergen’s “Murphy Brown” on CBS the night before. CBS heavily promoted the return of “Murphy Brown” after two decades, and Hillary Clinton had a cameo in the first episode. But the show’s first episode back couldn’t match the numbers reached by other recent revivals like “Roseanne” (18.4 million for its first episode back on ABC last March) and “Will & Grace” (10.2 million on NBC a year ago). “Last Man Standing” had been gone just a year, canceled by ABC in a decision that Allen said left him “stunned and blindsided.” But Fox brought it back, and on its first week it was the network’s most popular entertainment show, particularly impressive considering Friday is one of the least-watched nights on television. ABC said its decision was strictly business after it decided against airing comedies on Friday, but there were political overtones. Allen supports President Donald Trump and his lead character, Mike Baxter, has been described as Archie Bunker with a college education. Some conservatives said the cancellation was proof that they weren’t valued as customers in liberal Hollywood. The victory over “Murphy Brown” was “a very big upset,” said Marc Berman, a veteran television analyst who runs the Programming Insider. “Murphy Brown” had the misfortune of competing against real-life politics, since the Senate Judiciary Committee hearing on Supreme Court nominee Brett Kavanaugh aired the day of its premiere, giving big boosts that evening to Fox News Channel’s Sean Hannity and MSNBC’s Rachel Maddow, who together reached nearly 10 million viewers on their own, Nielsen said. The traditional opening week of the fall season wasn’t bad; an average of 27 million people watched ABC, CBS, Fox and NBC in prime time, Nielsen said, and that was up 3 percent over the first week last year, when the four networks had 26.22 million. That was achieved despite a busy news week that helped the cable news networks. The 7.79 million people who watched either CNN, Fox News Channel or MSNBC were up 31 percent from the same week a year earlier, Nielsen said. “That’s a very good sign,” Berman said. Fox broadcasting was up a whopping 70 percent over opening week last year, partly due to “Last Man Standing” but mostly due to the network winning the rights to show Thursday-night NFL football. CBS, which aired Thursday football a year ago, was down 12 percent. NBC, which had impressive showings for the first week of the new dramas “Manifest” and “New Amsterdam,” were slightly up over last year. ABC still hasn’t rolled out its complete fall schedule. For the week, CBS averaged 8.4 million viewers in prime time to lead the way. NBC had 7.9 million, ABC had 5.4 million, Fox had 5.3 million, Univision had 1.32 million, Telemundo had 1.25 million, ION Television had 1.1 million and the CW had 640,000. Fox News Channel was the week’s most popular cable network, averaging 3.15 million viewers in prime time. ESPN had 2.46 million, MSNBC had 2.06 million, CNN had 1.17 million and USA had 1.15 million. ABC’s “World News Tonight” topped the evening newscasts with an average of 8.2 million viewers. NBC’s “Nightly News” was second with 7.6 million and the “CBS Evening News” had 5.7 million viewers. For the week of Sept. 24-30, the top 10 shows, their networks and viewerships: NFL Football: Baltimore at Pittsburgh, NBC, 17.92 million; NFL Football: Minnesota at L.A. Rams, Fox, 14.51 million; “60 Minutes,” CBS, 13.54 million; “The Big Bang Theory” (Monday), CBS, 12.93 million; “NCIS,” CBS, 12.57 million; NFL Football: Pittsburgh at Tampa Bay, ESPN, 12.22 million; “The Big Bang Theory” (Thursday), CBS, 12.05 million; “NFL Pre-Kick,” NBC, 11.19 million; “Young Sheldon” (Monday), CBS, 10.59 million; “This is Us,” NBC, 10.55 million.